How to Delete Documents and Data from Samsung Permanently? Like web browsers within computer, now Android phones also allow you to search the internet on Android phone whenever you have any puzzles. Every time when you browse the internet, the corresponding search histories will be generated and saved on your Android phone. And sometimes these search histories might put you in a dangerous situation since these files may contain your personal information. Also, the accumulation of search histories on your Android phone will lead to the storage space scarcity. For these two reasons, you need to clear history on Android phone at regular times. Since search history can be generated from various channels, clearing history on Android can be divided into different cases. Now, let's look at these situations one by one! > Open Internet browser from Android phone. > Tap the Menu option on the main interface. > Go to Settings > Privacy. And then choose Clear History to continue. > Open Google Chrome Browser on Android. > Go to Menu > Settings > Privacy. > Tap Clear Browsing Data on the bottom. Freeware as it is, this software is powerful enough to clear various histories on Android phone, as well as other useless files like app caches, download temp files, user storage files and etc. And this software is able to permanently erase these useless files from Android without possibility of being recovered. - Open the installed software and then get Android phone connected to the computer via the USB cord. - This software will display all junk files on the main interface. You can now preview and choose the files you want to clear from Android. - Then click Clean option to begin Android history cleaning process as wanted. Aside from installing the free yet powerful software as mentioned on your Android, you can also download third-party apps to your Android phone so as to clean history as well as other useless files from your phone. 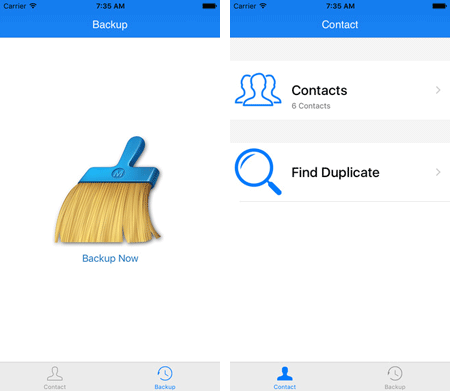 Here, you can have a try of this Cleaner Master software, which is widely received by Android users for its cleaning abilities. This software allows you to backup files before starting the file cleaning process. Now, just clear history on Android by choosing either way as listed in the above!